Logan Homes is a home building and designing company that is among the leading companies in the field in the US market. With a wide selection of designs, each may be adjusted to create personalized home plans. A core value of the company is its belief in people. Finding time for customer service is thus a key issue, which is possible thanks to a cutting-edge software, Vertex BD. Casey Thompson, Drafting and Design Manager at Logan Homes, was given the opportunity to rebuild their outdated 2D CAD drafting department. A new system was needed that could handle an extensive collection of house plans, along with a very competitive sales option structure. The system of choice for the Construchtech “Vision Gold” Award winning Logan Homes was Vertex BD. “The main benefit of using Vertex software is its unique optioning ability. Having worked in the drafting industry for years with residential, educational, commercial, historical, and government projects, I was familiar with several software applications. Most of them have 3D modeling ability, but none of them compare to the optioning features of Vertex BD,” says Casey Thompson. As a full service home builder, Logan Homes works with their customers throughout the entire process; from site evaluation, plan design and customization, and through construction. “Vertex BD has allowed us to spend more time with our customers and, in some cases, allow us to entertain unique customer requests,” says Casey Thompson. “One of our customers fell in love with one of our plans, but the plan needed to be personalized to accommodate the family’s son’s needs. Vertex BD provided a very fast and flexible tool to redesign a portion of the house to the complete satisfaction of our customer and his son,” states Casey Thompson. Logan Homes has been creating dream homes since 1986, within premier communities and individual home sites. 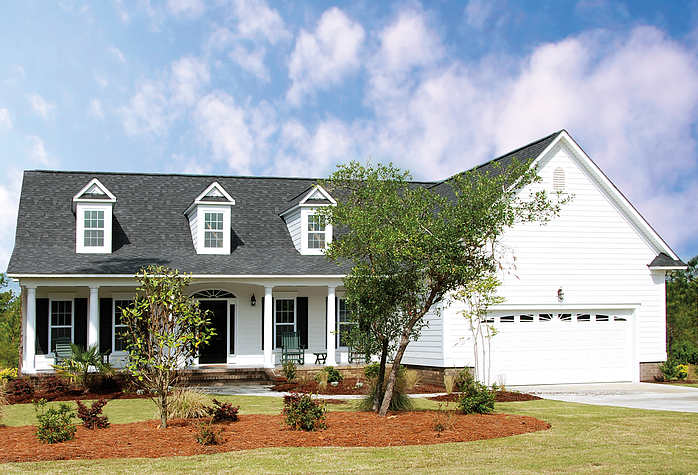 The company has built over one thousand homes in the Wilmington, NC area alone. They offer over 80 home plans, reflecting the newest innovations in home design, along with energy smart features that come standard in every home. Logan Homes is one of the top builders in their market, and is on track to be among the top 200 home builders in the U.S.